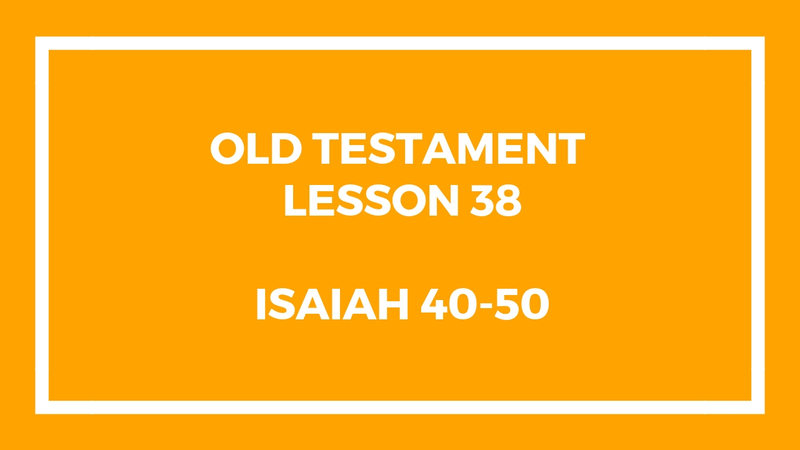 This lesson only covers certain parts of Chapters 40-49. We go over Isaiah during the next class as well. This entry was posted in Gospel Doctrine Helps and tagged gospel doctrine, gospel doctrine class, gospel doctrine helps, Old Testament Lesson 38 on September 18, 2018 by admin.